The Daily Star – Two wanted Syrians, one of them wearing an explosive belt, were arrested by the Lebanese Army Sunday en route to meet militants holding 25 Lebanese servicemen on the outskirts of the northeastern town of Arsal. Late Sunday, the Lebanese Army clashed with militants on the outskirts of the northeastern town of Ras Baalbak. The Army’s airborne regiment sent reinforcements to the area, the National News Agency reported. The two fugitives were among five men – including a Lebanese Muslim Scholars Committee member – arrested by the Army as they were headed to the outskirts of Arsal in a Nissan Armada SUV. The Army also confiscated an explosive belt and weapons packed in their car. Syrian sheikhs Mohammad Hussein Yahia and Mohammad al-Mohammad are wanted fugitives, security sources told The Daily Star. 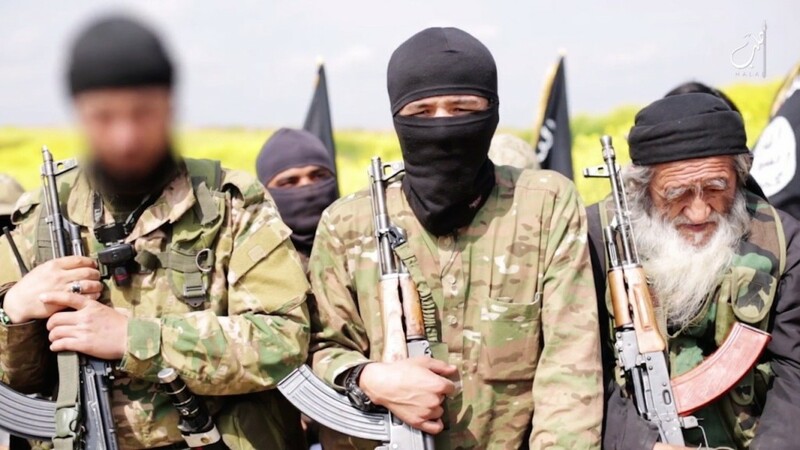 Yahia, who is close to a Nusra Front emir in the Qalamoun region Sheikh Abu Malek al-Tali, was wearing an explosive belt ready for detonation, the sources said. From inside the car the Army seized two hand grenades, three rifles, four handguns and ammunition, the military said in a statement. The Army detonated the explosive belt and handed over the suspects to the relevant authorities. An Army source told The Daily Star that Committee member Sheikh Hussam Ghali, who is also the general coordinator for Lebanon’s Islamic Medical Association, was among those detained. Ghali was released Sunday evening but his two bodyguards remained incarcerated, security sources confirmed. Ghali told Al-Jadeed TV that the group was going to the outskirts for talks with the captors of 25 Lebanese hostages. The two Syrian sheikhs, Ghali said, were militants tasked with facilitating the Committee member’s voyage to the outskirts and escorting him to the captors’ headquarters. Ghali added that weapons confiscated from the car belonged to his bodyguards but denied knowing that Yahia was wearing an explosive belt. Muslim Scholars Committee member Sheikh Adnan Ammama told The Daily Star that Ghali attempted to go to the outskirts in an effort to receive a pledge from the captors to stop killings and threats. “Though we have not been officially appointed by the government Sheikh Hussam was keen on carrying out this humanitarian duty,” he said. The Muslim Scholars Committee, a gathering of Salafist sheikhs, brokered a cease-fire that ended five days of clashes between the Army and militants from ISIS and the Nusra Front who overran Arsal in August. The jihadis withdrew from the town, but took with them more than 30 Army soldiers and Internal Security Forces personnel as hostages. Last week the Committee said that it wanted to be in charge of mediation efforts with the captors, but that it would only do so if it was formally commissioned by the government to manage the talks. As sharp differences of opinion over the handling of the hostages file surfaced in the Cabinet of Prime Minister Tammam Salam, the families of Lebanon’s 25 captive soldiers and policemen slammed the government for failing to bring back their men, threatening to take matters into their own hands. Haidar criticized lawmakers for agreeing to extend their own mandates and “insulting the Lebanese people’s dignity,” but failing to stop the killings of captive servicemen. “The baby who was born while his father was absent will ask you, Mr. prime minister: What have you done to my father?” Haidar said, warning that the families have trusted the authorities for too long, and that their patience was running out. “We will become [like] ISIS if we have to,” he said, suggesting they would resort to violence. The families Saturday said they had commissioned Progressive Socialist Party leader MP Walid Jumblatt – who supports a swap deal to free the captives – to speak on their behalf during talks with the Lebanese government as he has “proved to be the sincerest” in dealing with their case. At the rally, the crowd was most touched by a speech from the 6-year-old daughter of captive Abbas Msheikh. “I miss you so much, my father. You know that I love you a lot. Where are you?” she said. “You used to get me anything I asked for. This time I am I asking you to come back. Why don’t you? Sabrina Krumba, the wife of captive Ziad Omar, made another emotional speech, recounting to the crowd the story of Ali Bazzal’s killing as told to her by her husband when she visited him recently in Arsal’s outskirts. She said Ali was called in during the morning like each time the kidnappers had threatened to kill him, but he was not expecting to actually be murdered that day. “Do not have lunch without me, I’m coming back. I come back every time,” Bazzal told his fellow captives before being taken out of their holding room, she said.